ZTE has announced its latest addition to its phone pack, the ZTE Orbit. 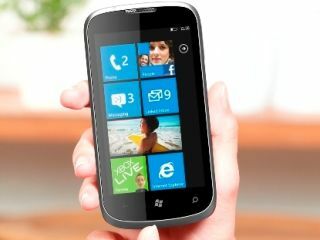 Just like its older sister, the ZTE Tania, the ZTE Orbit comes with Windows Phone and is pitched at those who are working to a budget. Announced at MWC 2012, the ZTE Orbit's specs include a 5MP camera on the rear with LED flash, HD voice capabilities and 4GB of in-built memory. Speaking about the new money-conscious handset, He Shiyou, Executive Vice President and Head of the Terminal Division of ZTE, said: "The Windows Phone platform is as powerful as it is intuitive, enabling us to create and deliver exciting new devices that meet real consumer demand. "Our partnership with Microsoft is a key component of our strategy to grow our share of the smartphone market. ZTE is proud to be at the forefront of device manufacturers who are using the Windows Phone platform." Alongside the ZTE Orbit, ZTE also announced a new high-speed data card for Windows 8. The card supports RAW IP and high-speed transmission, is based on the new MBIM v1.0 specification, is recently approved by the USB-IF, and natively supported in Windows 8 without additional software.